A beautiful, newly renovated, wedding and event venue located in historic downtown Tonganoxie, Kansas. As a preferred destination for weddings in Tonganoxie, Lawrence and the greater Kansas City area, the Brunswick Ballroom is committed to giving you the memorable experience you deserve. Have the perfect date? In need of a corporate venue to host a company conference, board meeting or corporate event? Looking to host a fundraiser or class reunion? Our large stage and open hall are a perfect venue for these events. Step into the Brunswick Ballroom and virtually walk through it! Check out our stage, seating, and of course our beautiful about 100 year old Brunswick princess bar. To do so, just click HERE. The Brunswick Ballroom wants to be your event venue of choice! 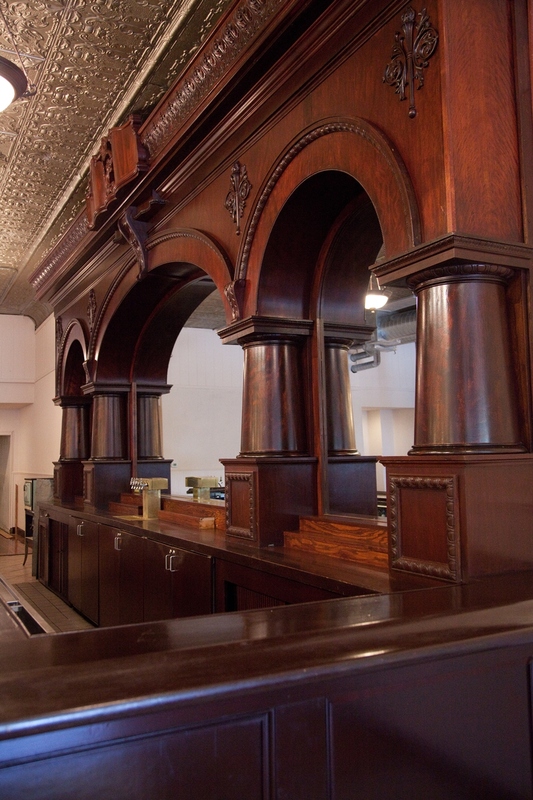 We have poured attention into every detail bringing this historic building back to life. With a vast interior that has been lovingly refurbished, there is plenty of room to accommodate your banquet, reception or party. When you are looking for an elegant venue, please know we will do everything we can to make your special day truly memorable. Take a 3D-Tour of the Brunswick Ballroom by clicking here! The ballroom can host up to 250 guests seated and is a perfect venue for rehearsal dinners, wedding receptions, corporate events, holiday parties, private parties, dinners, dances and luncheons. We are conveniently located on the I-70 corridor in charming downtown Tonganoxie, just minutes from Kansas City and Topeka. Of course there is ample parking available as well! Whatever your event needs may be, contact us today for a FREE and customized quote. We would love to help you make your event perfect!